'Colin Currie and Steve Reich. Live at Fondation Louis Vuitton' is the third album to be released on Colin Currie's own label and captures five performances, taken live, at a Steve Reich presentation in Paris. The music ranges from Clapping Music of 1972 to Pulse of 2015. James Jolly met up with Colin to talk about his long association with Reich's music, the approach needed to perform music of mathematical precision yet at the same surprising emotional weight, and performing Clapping Music with Reich himself. Carolyn Sampson talks to Editor-in-Chief James Jolly about 'Reason in Madness', her new recording from BIS performed with pianist Joseph Middleton, which focuses on some of literature's heroines whose mental state has been unbalanced by sadness or tragedy, drawing on some glorious, and unsettling, music from composers including Brahms, Schumann, Richard Strauss, Chausson, Saint-Saëns and Poulenc. Grace Williams (1906-77) was one of Wales’s finest composers - she left a sizeable body of work, her best-known piece being the orchestral tone-poem Penillion, as well as a lot of chamber music, much of it as yet unpublished. Madeleine Mitchell and friends have just released a recording for Naxos of her chamber music, and Editor-in-Chief James Jolly caught up with the violinist to talk about it. The Berlin Philharmonic clarinettist Andreas Ottensamer talks to Gramophone's Editor-in-Chief James Jolly about recording Weber's First Clarinet Concerto, and music by Brahms and Mendelssohn, for Deutsch Grammophon. Lucie Horsch’s new album, Baroque Journey, takes us on a thrilling and diverse journey through some of the recorder’s most beautiful repertoire. Gramophone’s Editor Martin Cullingford met her to discuss her new release on Decca. Christian Gerhaher and pianist Gerold Huber have embarked on a Schumann Lieder project; the first volume ‘Frage’ is just out and combines groups of songs – or song-cycles as Gerhaher argues – from 1840 and 1850 and includes the Kerner-Lieder. Gramophone’s Editor-in-Chief James Jolly caught up with the baritone for our latest podcast. We profile our 2018 label of the year - Harmonia Mundi. Editor Martin Cullingford spent time last summer in Arles, the label’s home in the South of France, and spoke to various artists - both established and newly-signed - and the label head Christian Girardin about what Harmonia Mundi and indeed recording itself means to them. A special celebratory conversation between cellist Steven Isserlis and Editor-in-Chief James Jolly which explores - among many topics - the nature of recording, the music of John Tavener, cellists of the past and gut strings. Cambridge is a city famed for its world-leading choirs of boy choristers - but ten years ago, St Catharine’s College founded the first college-based choir for girls. In the latest Gramophone podcast the Music Director Edward Wickham talks to Gramophone Editor Martin Cullingford about that first decade, and about the choir's new recording ‘Sing Levy Dew’, a beautiful programme of music for upper voices by contemporary and 20th century composers, released on the Resonus Classics label. The centenary of the birth of the great Swedish soprano Birgit Nilsson fell in May and the Birgit Nilsson Foundation has overseen various commemorative projects including a DVD and a 31-CD set of Nilsson's greatest roles recorded live and issued by Sony Classical. And 2018 also saw another musician honoured with the Birgit Nilsson Prize, the soprano Nina Stemme. James Jolly caught up with Rutbert Reisch, the President of the Birgit Nilsson Foundation, in Stockholm and talked to him about the singer and her extraordinary career as documented on the live recordings. Gramophone’s Editor Martin Cullingford and Editor-in-Chief James Jolly discuss some of the topics and releases covered in the latest issue, including our cover artist Viktoria Mullova’s new recording of the music of Arvo Pärt on Onyx, the New York Philharmonic’s new music director Jaap Van Zweden, and this month’s best recordings, including our Recording of the Month, Bernstein symphonies conducted by Antonio Pappano on Warner Classics. Sir Antonio Pappano has recorded Leonard Bernstein's three symphonies - Jeremiah (No 1), The Age of Anxiety (No 2) and Kaddish (No 3) – with his Orchestra of the Accademia di Santa Cecilia in Rome, the ensemble of which Leonard Bernstein was Honorary President. Recorded live this February at orchestra's home in the Parco della Musica, the symphonies set is released by Warner Classics on Friday, August 10. James Jolly went to Rome to report on the sessions and talk to conductor, soloists Beatrice Rana and Marie-Nicole Lemieux, and Bernstein's Personal Assistant Craig Urquhart, about these three major scores. One of today's foremost pianists, Stephen Hough talks to Gramophone's Editor Martin Cullingford about his fascinating and very personal new recording. From Mompou and Liszt to Sibelius, via 14 transcriptions and several pieces by Hough himself, the release - called Stephen Hough's Dream Album, and available on Hyperion Records - is a beautiful journey through the art of the piano miniature. Benjamin Zander's latest recording is of Beethoven’s Ninth Symphony, with the Philharmonia Orchestra and Chorus on Brattle Media, and it’s one in which the conductor has sought to perform the work exactly as he believes the composer original intended. Zander talks to Editor Martin Cullingford about the recording, and also about the importance of reaching new audiences for classical music. Gramophone’s Editor Martin Cullingford and Editor-in-Chief James Jolly discuss some of the topics and releases covered in the latest issue of Gramophone, including: the world of percussion, Mozart in London, DG’s latest Chinese signing, and how to vote for our orchestra of the year. The clarinettist Michael Collins talks to Gramophone's James Jolly about Bernhard Crusell's groundbreaking impact on the instrument, his three concertos, and recording and conducting at the same time. His new Chandos recording is Gramophone's June Recording of the Month. Leading pianist Angela Hewitt talks to Gramophone’s Editor Martin Cullingford about the importance of Bach in her life, recording Beethoven Sonatas, and performing Messiaen at the Proms. Gramophone’s Editor Martin Cullingford and Editor-in-Chief James Jolly discuss some of the main features and most significant releases covered in the latest issue of Gramophone. Topics include: composer and conductor Esa-Pekka Salonen, the legacy of Parry, this month’s best releases - including our Recording of the Month, Crusell’s clarinet concertos - and an introduction to some new features in the magazine. Gramophone’s Editor Martin Cullingford and Editor-in-Chief James Jolly discuss some of the main features and most significant releases covered in the latest issue of Gramophone. Topics include: the legacy of the great soprano Birgit Nilsson, Schubert lieder in translation, St John’s College Cambridge, highlights from this month’s Editor’s Choices - including Christian Tetzlaff’s new recording of Bartók’s violin concertos and Julien Brocal’s release of Mompou and Ravel - and an insight into Karl Böhm’s opera recordings. The young Polish countertenor Jakub Józef Orliński - a recent Gramophone ‘One to Watch’ - is something of an internet sensation, his performances on YouTube of the Vivaldi aria ‘Vedro, con mio diletto’ having been watched tens of thousands of times. March 30 sees a studio recording with Il Pomo d’Oro being released by Erato as a digital single. You can hear it in in this week’s episode of Gramophone’s The Listening Room. The choir of Westminster Abbey’s new recording for the Hyperion label features the music of 16th-century English composer Nicholas Ludford. Organist and Master of the Choristers James O’Donnell talks to Gramophone's Editor Martin Cullingford about Ludford, as well as about the role of the choir in the life of the Abbey today. Leading virtuoso pianist Krill Gerstein talks to Editor Martin Cullingford about Gershwin, someone whose ability to weave together many soundworlds makes him, Gerstein argues, truly a composer for today's world. His album, featuring Rhapsody in Blue and the Concerto in F and from which the musical excerpts are taken, is released on Myrios Classics on February 16. The latest release from Richard Tognetti and the Australian Chamber Orchestra features Mozart’s Eine Kleine Nachtmusik, and Water, a new work by composer and member of Radiohead, Jonny Greenwood. Gramophone’s Editor Martin Cullingford spoke to the conductor and violinist about the album, which is released by ABC Classics on vinyl in Australia, and digitally worldwide. Gramophone’s James Jolly visited Bruges to talk to some of the movers and shakers of the city’s music scene and experience a handful of concerts in some striking settings. As well as meeting Tomas Bisschop, Director of the MA Festival and the Early Music Programme Coordinator at Bruges’s Concertgebouw, Albert Edelman, James talked to the keyboard-player and conductor Jos van Immerseel and the city’s Carillonneur, Frank Deleu. Chandos, in association with RTS and Palazetto Bru Zane, has launched a new series exploring the keyboard music of Antoine Reicha, born the same year as Beethoven and a close friend of the German composer. It’s played by Ivan Ilić. He was in London recently and Gramophone’s Editor in Chief, James Jolly, went to talk to him about the project. British composer Brian Elias has just had his Cello Concerto premiered at the Proms, is enjoying positive reviews of his retrospective album ‘Electra Mourns’ on NMC, and is looking forward to a revival of The Judas Tree – Kenneth MacMillan’s last ballet, for which Elias composed a specially commissioned score – at the Royal Opera House this October. Gramophone's Deputy Editor Sarah Kirkup meets with him to reflect on a lifetime of composing, and to find out what it was like to collaborate with one of the finest choreographers Britain has ever produced. Dame Kiri Te Kanawa is one of the most admired sopranos - indeed classical artists - of our age. Gramophone celebrates her enormous contribution to music over an extraordinary career by giving her our 2017 Lifetime Achievement Award, sponsored by Presto Classical. To mark the occasion, Editor-in-Chief James Jolly met with her to reflect on repertoire, recording and performance. Sean Shibe, a real rising star of the guitar world, has just released his first disc, called 'Dreams and Fancies' on the Delphian label - and we've named it an Editor's Choice recording in the September 2017 issue of Gramophone. In this Gramophone podcast he talks to Editor Martin Cullingford about English music for guitar, about Julian Bream, and about the unique appeal of the instrument and its repertoire. On his new album Late Night Lute, Matthew Wadsworth pairs pieces from the instrument’s history - including by John Dowland and Alessandro Piccinini among other composers - with a premiere recording of a new suite for theorbo by Stephen Goss. 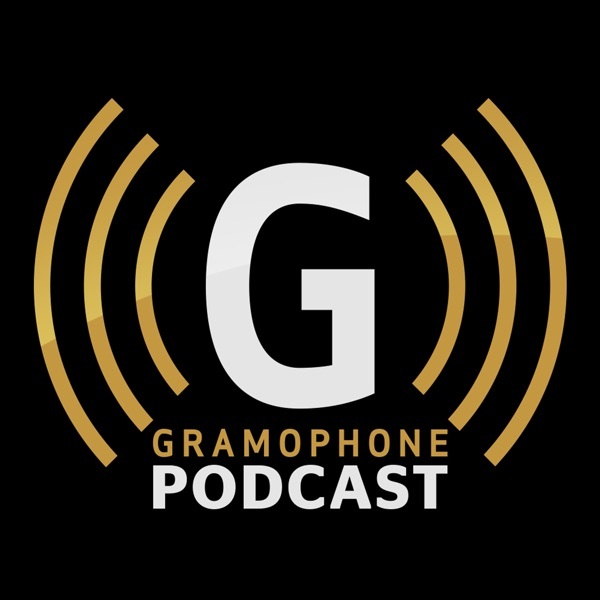 In the latest Gramophone podcast, he talks to Editor Martin Cullingford about the programme, and about the unique sound-world of the theorbo. The tenor Bryan Register is singing the role of Siegmund in the current Grange Park Opera production of Wagner’s Die Walküre (a 'sensation' according to the Financial Times). He talked to Gramophone’s James Jolly about the role and some of his favourite recorded interpreters of the part.